Each cupcake recipe has a required oven baking temperature in order to achieve the desired taste and shape and the same purpose applies to flavouring, frosting, and garnishing to make your cupcakes look so adorable and of course, qualified saleable desserts! In the B2B world, social media followers, like plain cupcakes, will remain in the same level and label unless nurtured, where needs are uncovered and their topmost level of interest is achieved, before you can turn them into qualified leads. Aside from standard social media goals such as Likes and Shares, there are some extra tactics that would help turn your social followers into leads. Social media, when done right, can boost brand awareness and help you build a good relationship with your followers via constant web activity and communication. However, one thing that social media is not fully equipped to do is to generate quality leads. At this point, use some extras like email marketing tactic which will induce the lead generation process to enhance the effectiveness of your social media marketing. Here’s more, learn how to make decision makers and prospects call back or reply to your email. Tip: Follow up your social followers through emails and be more targeted in delivering your message. So how can you get email addresses without being labeled as spam or worse ruining your social reputation? The next step will answer this question. Exit Pop-up. An exit pop-up is used to get website visitors to subscribe before they leave. Sidebar form. A form that rests on your website’s sidebar which you can be created with catchy designs that would be hard for your visitors to resist to notice. Take this Ebook: The Ultimate Lead Generation Kit to Jumpstart your Business as an example. Tip: From social media, lure your followers and lead them to your website. The widgets mentioned above will help you capture their emails in a legit way and nurture them to become qualified leads. Measure the impact of each tactic you apply to gauge the effectiveness of your lead generation process. You need to know what your followers think and feel about your product which could be a credible reference for gathering ideas and steps for improvement. Start a Fire adds a branded badge to whatever content you recommend. It is also imperative to have a tool that will tell you which content your followers are reading and at the same time who your readers are – Leadfeeder can do this for you. Your social followers are undeniably active proofs of potent marketing tactics but undermining such may cause the business to be at a critical point. Instead, zoom in on extra tools and processes that you can integrate with your social marketing to turn your plain social followers into flavoured, nicely frosted and well garnished-like qualified leads. 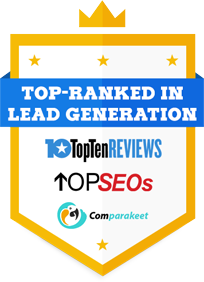 Here’s how Callbox Lead Nurture Tool helps in generating more leads in Australia! 1. How useful was your content? Unless your content is really useful, it could get lost amidst the flood of blogs, emails, videos, articles, tweets, and commentary, and it won’t get read—much less shared. So how do you create useful content? Think of value. Think of yourself as a business owner looking for information to help you decide whether you would like to outsource certain parts of your IT infrastructure. Of course, you would want to learn about the pros and cons, how much you need to prepare financially, and how much control you can retain after farming out. 2. Does your content encourage engagement? A piece of content is most effective when it compels the reader to join in. It could be something that ‘challenges’ the status quo, like presenting an idea that’s entirely new or unique. Or it could be something that raises curiosity, like posing an industry-related question that can really stir their brains. Or it could be a comparison of 2 things, which could spark a debate among commenters. These are the types of content that people watch out for and have no problems with sharing to others. 3. Did you set realistic metrics? Marketers often think that social media is so powerful that it has a life of its own and generate overflowing publicity (and revenue) for the business. Again, it simply doesn’t work that way. Social media is more about exposure and engagement, as well as understanding the target market. To truly appreciate the influence of social media, you may want to measure engagement and responses from people. It may not equate directly to leads (at least in the short run), but it can show you how your content and brand image are circulating in people’s awareness. After that is established, make a move on how to take advantage of that exposure, and that’s when the real stuff happens.